• Groomed about 3 months ago ago - would be shaggy/matted by now if still ungroomed. 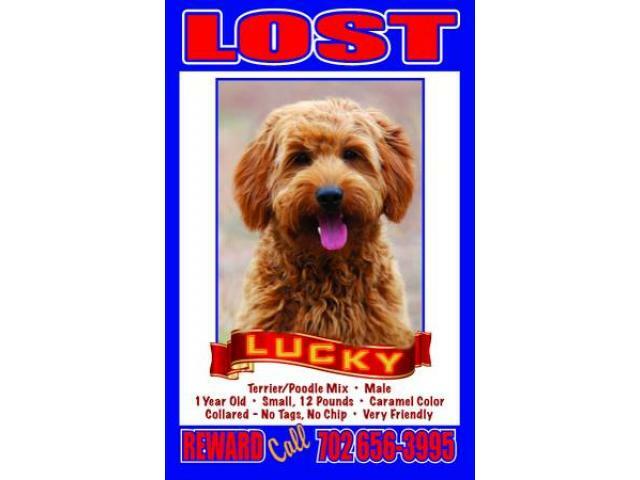 Lucky was last seen in the Smoke Ranch and Jones area. His family wants him home; Lucky is missed! Please call Timothy at 702 656-3995 if you have seen Lucky or have any info as to his whereabouts.